SugarSync, a cloud based storage solution, needed to simplify their payment flow and place more emphasis on higher tier plans. 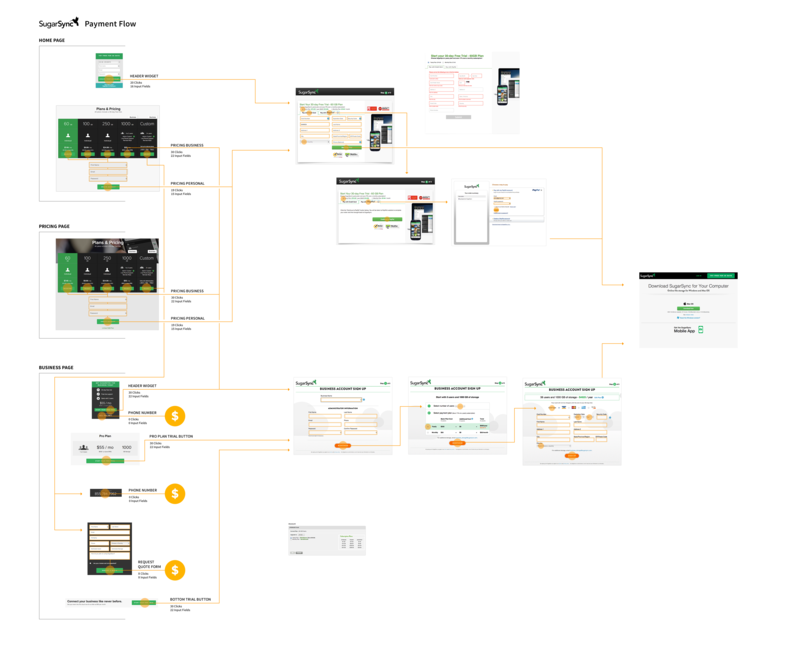 We first took screenshots of every step and displayed them as a user flow. 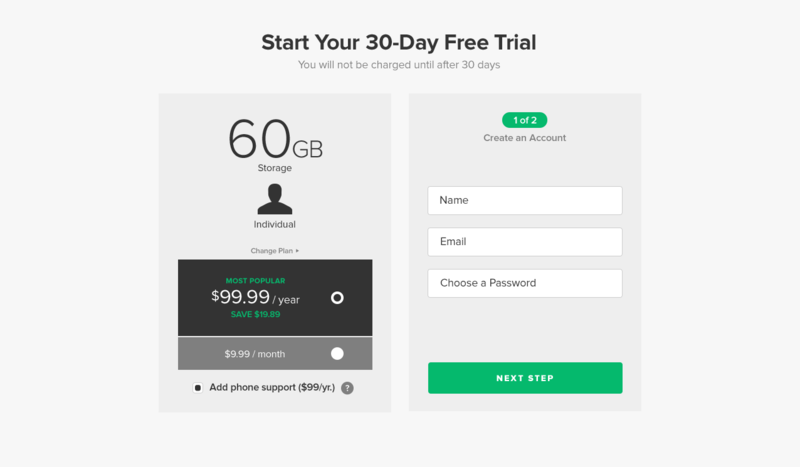 As we walked through the flow, we found that some users were asked to make over 30 clicks, and input a lot of personal information. After talking with the sales team, we discovered that most of this information was never used in their sales process. This was a major area of friction. Our new approach was very streamlined. 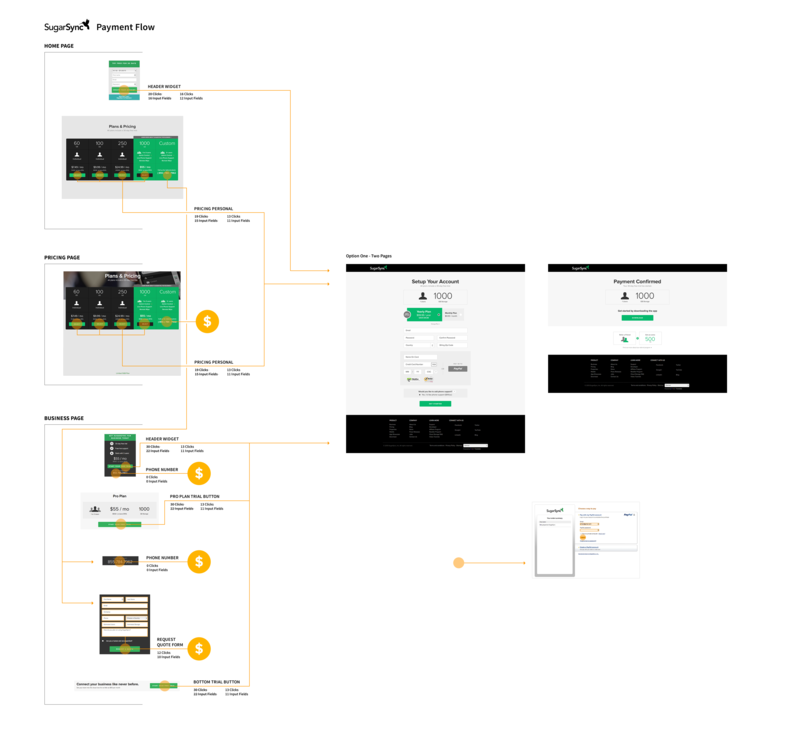 Total clicks were cut in half, the process was split into digestible chunks, and the design became consistent with their style guide. 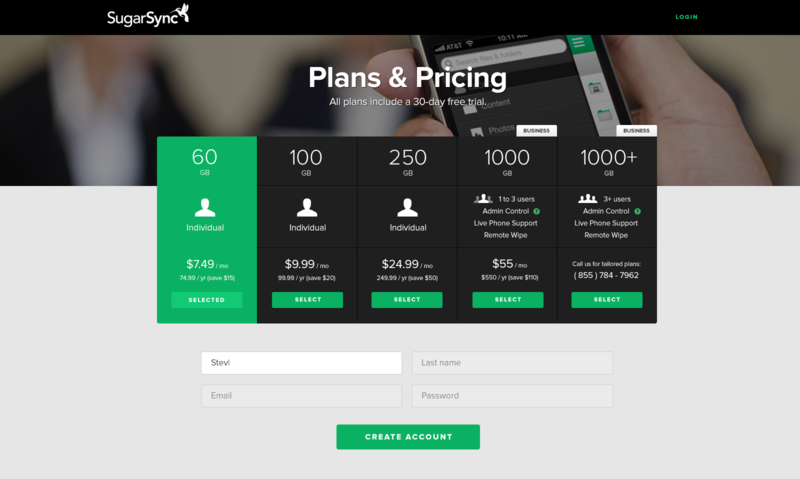 Time was also spent restructuring the pricing table, bringing clarity to the variety of plans. They knew the lowest tier was a great entry point for basic customers, so we increased emphasis on it. The higher business plans were also featured, and their benefits clearly displayed.